Russia scored two goals in the first period—including one from centre ice—to defeat Denmark 4-0 and advance to the semi-finals in Montreal on Wednesday. Captain Kirill Kaprizov had two goals for the winners and now leads the tournament in goals (7) and points (10). Ilya Samsonov had an easy time in goal, stopping only 14 mostly harmless shots in the Russian cage for the shutout. The Danes had plenty of chances on the power play but went 0-for-6. This marked the third straight year Denmark has stayed in the top pool of the U20, the third time Denmark has qualified for the quarter-finals, and the third year these two teams have faced each other. 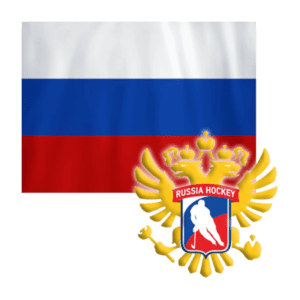 In 2015, the Russians needed a shootout before winning, 3-2 in the round robin, and last year the game went to overtime before the Russians prevailed, 4-3 in the quarters. Although the Danes came out and played a decent first half of the period, the game changed on a terrible blunder from goaltender Lasse Petersen. Alexander Polunin got the puck just inside his side of centre ice. He took a couple of strides and flicked a long shot in on goal. Petersen lost sight of it, and the puck floated into the top corner at 8:45. Denmark had two power plays to get a goal, and although it had some decent movement it couldn’t capitalize. Russia had a late man advantage of its own—and connected with only 10.9 seconds left on the clock. Mikhail Vorobyov fired a nice pass from behind the net to Kaprizov in front, and Kaprizov’s quick shot snuck under Petersen’s glove on the short side for a commanding 2-0 lead. Coach Olaf Eller swapped Petersen out and Kasper Krog in to start the second, but the damage had been done. The middle period was one dominated by the penalty killers. The Danes took a double minor and then minor in quick order, leaving them a man down for six minutes in a row, but they did a great job of keeping the Russians at bay. Later, the Danes had two power plays but failed to generate any dangerous shots. The Russians added an insurance marker at 7:12 of the third when Denis Guryanov fanned on a shot in the slot. The puck came right to Pavel Karnaukhov, and he drilled a shot past Krog for a 3-0 lead. Kaprizov put an accent on the win at 15:35. He walked out from the corner and drilled a shot over Krog’s shoulder.